Here at Integrity, we pride ourselves on stocking a wide variety of the kind of vehicles you want, from economy smart buys to luxury sedans, third-row SUVs, and heavy-duty work trucks. Check out just some of the featured vehicles on our lot. Check out this beauty — a 2013 Ford Explorer Sport! It’s fully-loaded with heated and cooled seats, third-row, captain seats in the middle, panoramic roof, backup cam, and EcoBoost! This 2017 Chevy Impala only has 71,000 miles!!! It is slick, with touchscreen and brand-new tires. We’ve got a 2019 Hyundai Elantra — that’s right, a 2019! — with only 8,000 miles. This nearly-brand-new car is loaded, including the touchscreen Apple CarPlay phone sync. 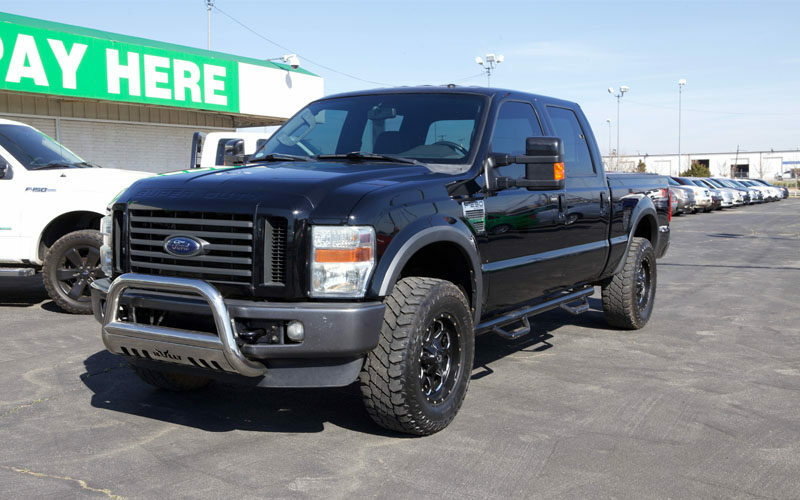 This beautiful black Ford F-250 is a V-10 with a lift kit, brand new tires and wheels, leather interior, sunroof, and tonneau cover. We’ve got this beautiful red Chevy Silverado 1500 4×4. This truck is loaded with the Vortec Max — the high-output Chevy engine, black leather interior, and awesome tires and wheels! This Dodge Ram 3500 is a one-ton dually with four-wheel drive and a 5.9L Cummins Diesel Engine. It’s got leather seats and is fully reconditioned! This is only one of several diesel trucks that we currently have in stock. Only at Integrity! Click here to check out all of our awesome inventory!